A PLANNED repaint has seen the first of 56 Class 390 ‘Pendolino’ trains emerge in a revised livery. The new livery is the first major change since the sets were introduced 15 years ago, with this mid-life repaint needed as part of the leasing arrangements. 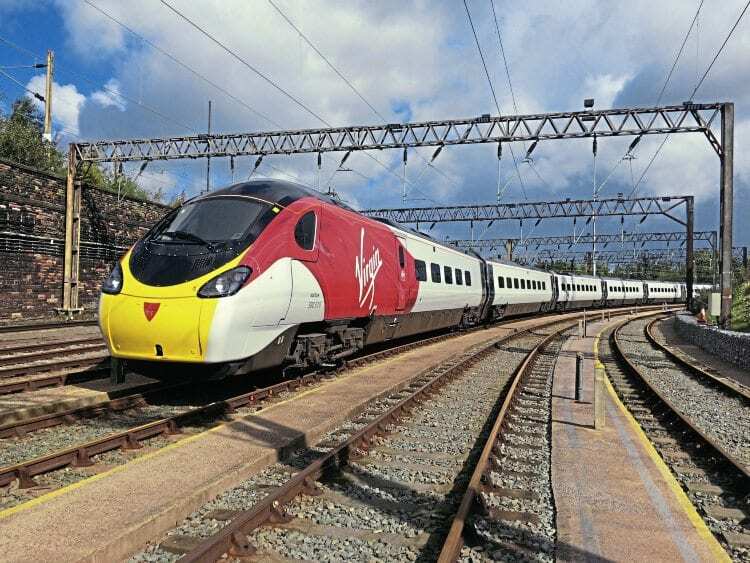 Its style and colour is similar to how Virgin says its new Class 800 ‘Azuma’ trains will be painted. Set No. 390010 Cumbrian Spirit received its revised colour scheme at Alstom’s new repair and refurbishment facility in Widnes, and by the end of 2019 all sets should have been repainted. Set 390006 is now in the paintshops to be completed by early October, and a repainted set should be released into traffic every two weeks. In a further change the aluminum cast nameplates have been replaced with stick-on versions. Read more News and Features in the October issue of RM – on sale now!